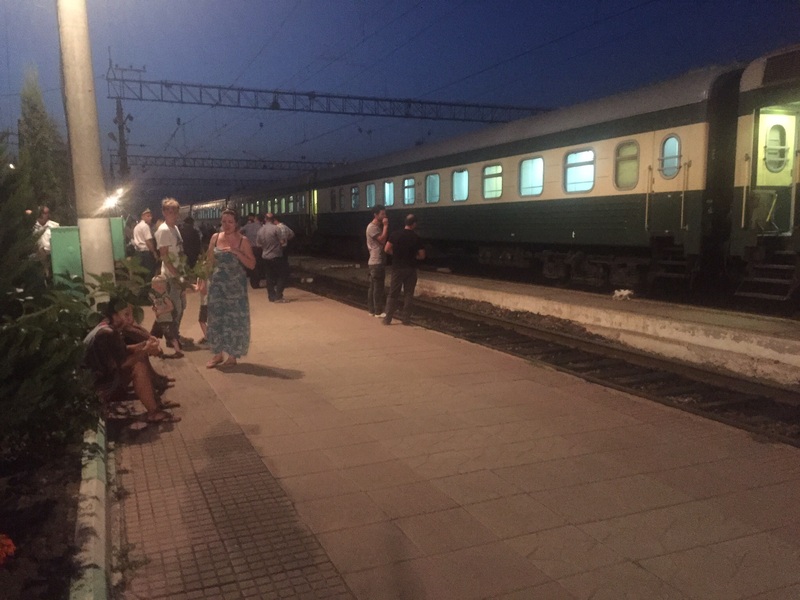 If your idea of a train journey is to travel in style, with a dining car and no border formalities, never take the night train from Tbilisi to Baku. Who knows whether the EU’s Schengen borderless zone will survive, but right now travellers in Europe are spoilt. Going by train in April from Poland to Slovakia I didn’t know when I had left one and entered the other. Travelling from Tbilisi to Baku, the capital of Azerbaijan, is a different story. Let me give a short account. I bought my ticket at Tbilisi Central a day ahead and chose second class for 60 lari ($26). Three classes of travel were on offer and with my ticket I would get a place in a four-berth sleeper. Train journeys always say something about a country’s priorities. Tbilisi Central is not in great shape. The platforms look as if they were hit years ago by slight earth tremors and never repaired. The train, with carriages painted green and cream, left smack on time at 4.30 p.m. The timetable listed 50 stops (yes, 50) between Tbilisi and Baku. Not an express then. Travelling time was due to be 14 hours 40 minutes, to cover 551 km. 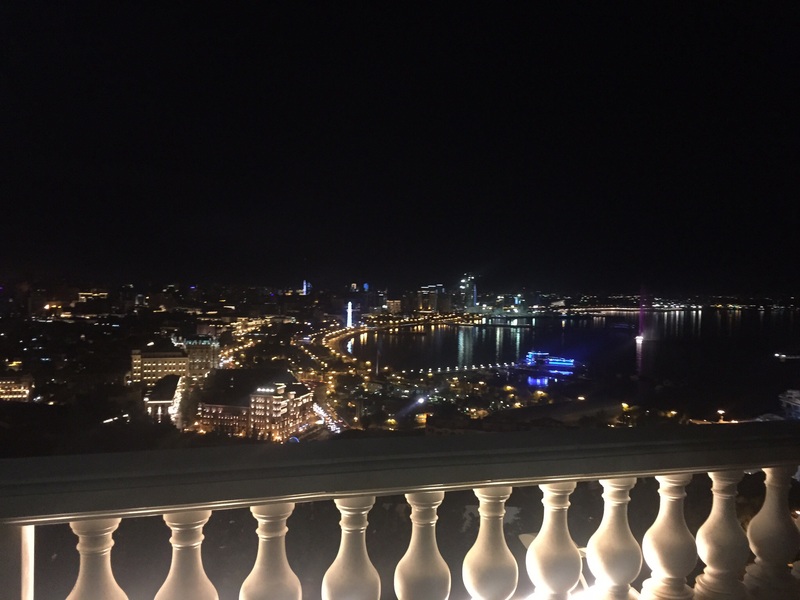 My companions were three affable Azeri young men who told me Baku was much nicer than Tbilisi. There was no dining or buffet car, but when we arrived at the Georgian border we were able to buy drinks and snacks at little shops in the station, where we had a one-hour scheduled stop. Then we moved slowly to the Azerbaijan border, where we had another scheduled 60-minute stop. One border guard took my photo and another rummaged through my luggage, paying particular attention to reading matter in the best traditions of a police state. At the Azerbaijan border it was pretty warm on the train and I went into the corridor at one point to get some air. A train stewardess whom I nicknamed the Gulag guard brusquely ordered me to “sit down” in my compartment. Not wishing to create an international incident I complied, but soon the corridor filled with sweat-soaked passengers yearning to be cool. Eventually we got through the border and had some sleep under spotless bedclothes, but hours before arriving in Baku the Gulag guard knocked on our doors and insisted that we rise, so that she could gather the bedclothes. The view outside was of scrub and low brown hills. The final approach to Baku was the best bit of the journey. The Caspian Sea came into view on the right of the train and on the left for a while was a lake with petrels, I think, swooping low over the water. Scattered over the landscape on both sides of us were dozens of “nodding donkeys” pumping oil. Very atmospheric! 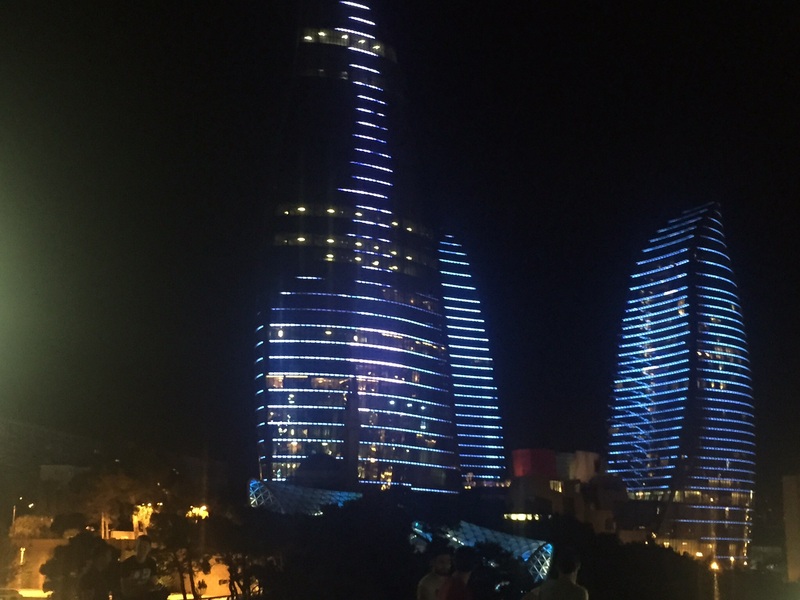 We arrived in Baku one hour and five minutes late, making it a journey of 15 hours 45 minutes. I am glad I did the train ride, but once was enough. Taxis take half the time and if costs are shared work out as not very much more expensive.